Well, it's November already, and that means a very busy month for me. Not only am I preparing for the upcoming holidays and a baby (! 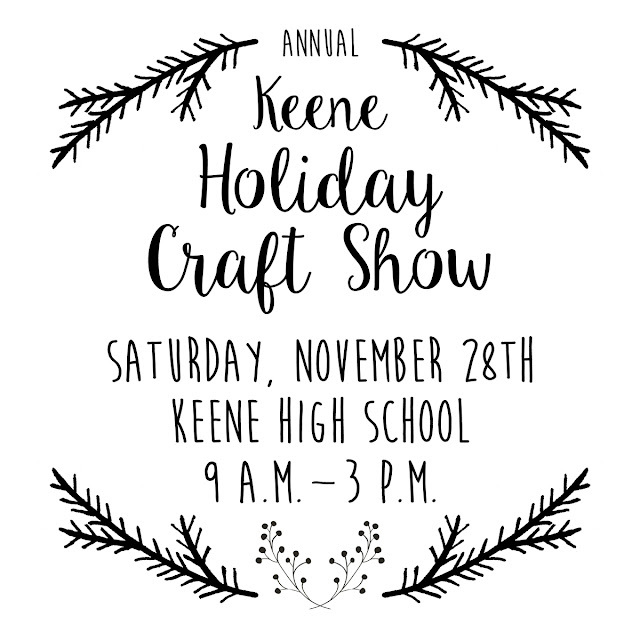 ), I am also getting ready for the Annual Keene Holiday Craft Show that I attend each year in my hometown on the Saturday following Thanksgiving. It is organized by my mom, Kellie Jones, and this will be its 10th year! For the past several years, I have been making and selling crafts myself at the show. Each year has been different. I have sold doll clothes, art prints, gift tags, knitting patterns, and Christmas ornaments. This year, I decided to focus on assorted handmade toys for kids. I will be writing a more extensive post later on in the month showcasing some of the products I have made (I am VERY excited about them. ), but for now, I am just going to give a small preview, along with a free pattern. 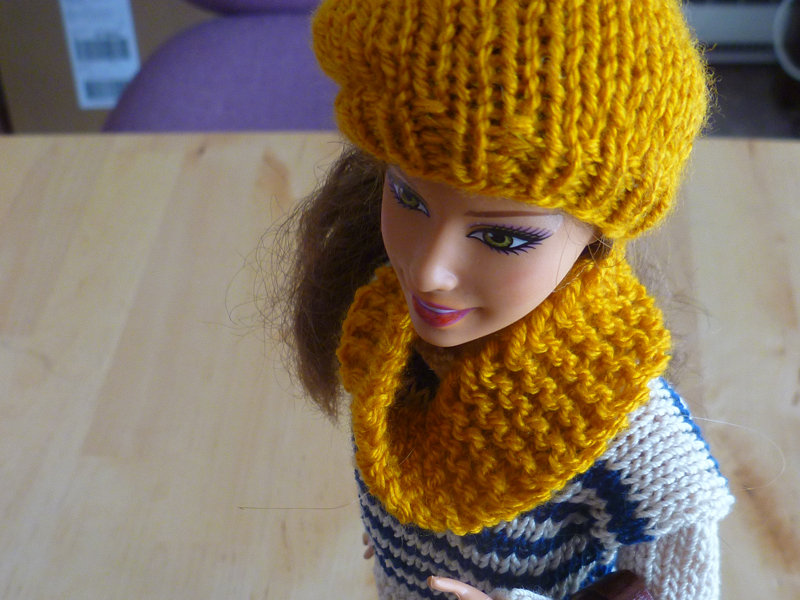 As you may know, I've made miniature knitted sweaters for Barbie dolls in the past. This year, I created some new patterns for some knitted accessories, pictured here. 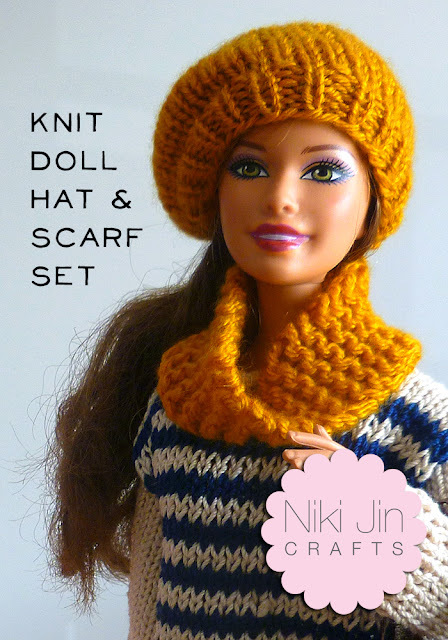 The hat is modeled after a slouchy beanie, and is accompanied by a comfy infinity scarf. These are quick and easy to make, as long as you don't mind the small scale. The download link for the free pattern is below.